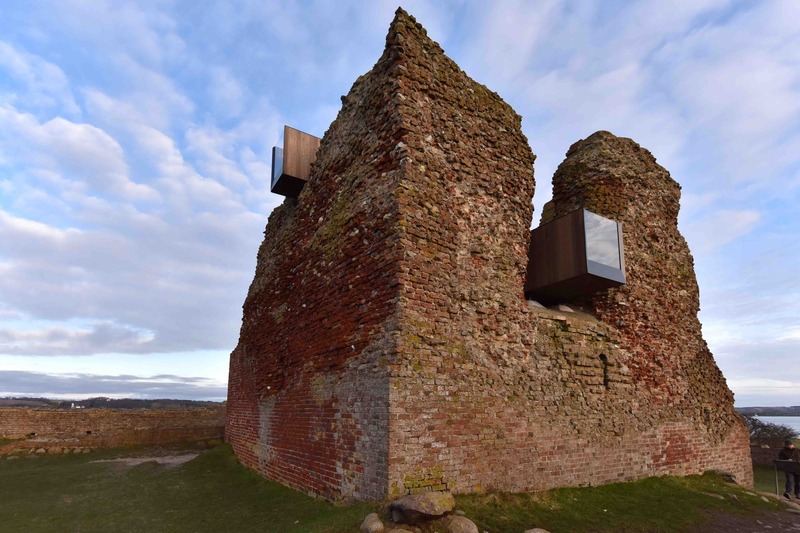 A simple and elegant insertion into a nationally protected ruin in the Danish countryside. 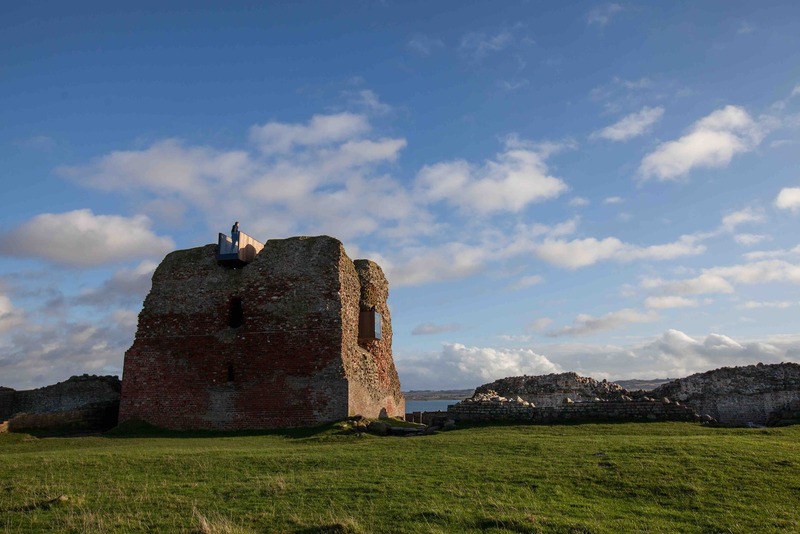 The 700 year old ruin projects into the water on a narrow peninsula, a rich mass of bricks and eroding solidity. 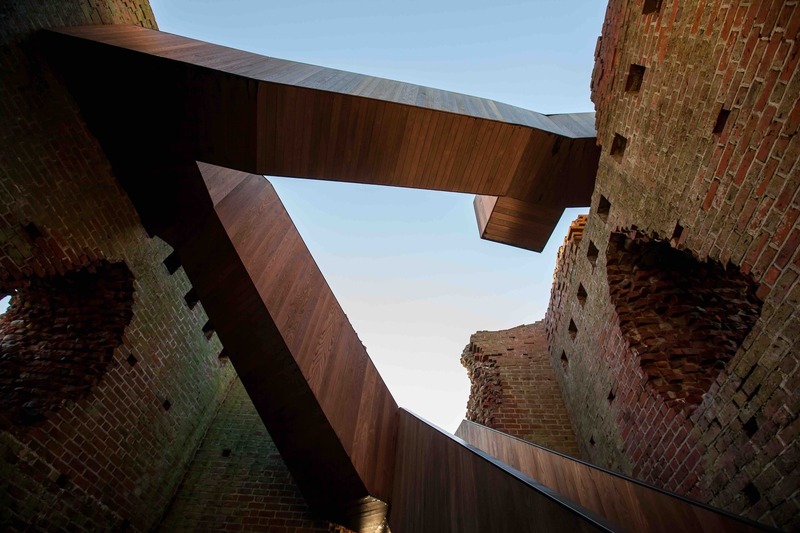 A new staircase wends its way with delicate precision within the confines of the walls, letting visitors ascend through the geological layers of brick to step out onto little bridge protrusions that hover in the already-existing openings, avoiding any damage to the existing structure. There, from upon high, all can observe the landscape from the vantage point of the building’s former occupants. Wonderful piece of minimalistic work and exquisite detailing. 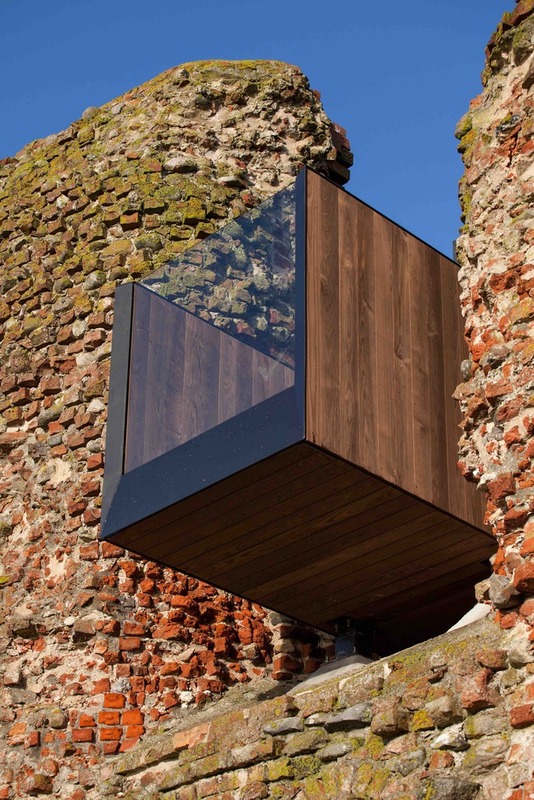 Kalø Slotsruin by MAP Architects.